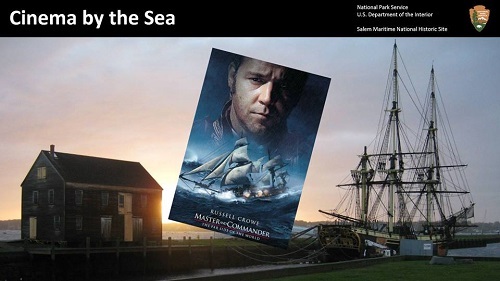 In the midst of the mayhem & madness that swirls around Salem in October for Haunted Happenings, there will be an homage to Salem’s other historical claim to fame— seafaring adventures as the National Park Service will present a free outdoor showing of Master and Commander: The Far Side of the World Oct. 3rd at 7pm on Derby Wharf. The stage for the film is the vast ocean. The adventure is high. And the film will be projected on the exterior of the historic Pedrick Store House! And what about our own resident-in-harbor tall ship? 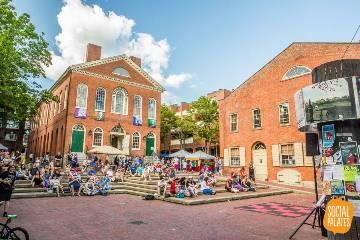 The Friendship of Salem, will also be open for special evening hours from 5-6:30pm, just to help you get into the maritime mood. As this is an outside, free event, definitely bring lawn chairs, blankets, and snacks— but NO alcoholic beverages allowed. Be there a rainstorm or a squall? 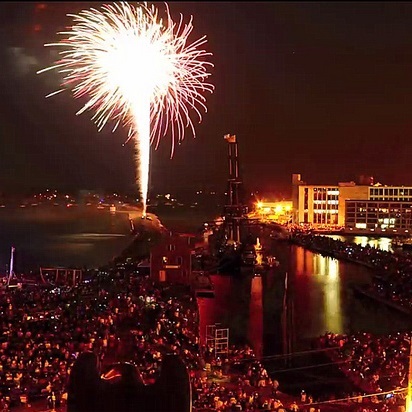 Then the film will hoist anchor and be shown in the NPS auditorium at 2 New Liberty Street, Salem. For more info call the Visitor Center at 978-740-1650. Sea-faring action. Complex character studies. Free admission. And a mystery. 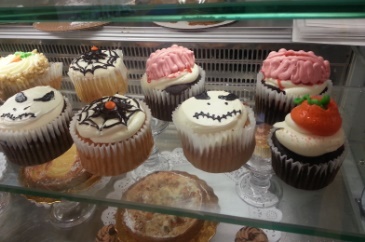 Who could ask for more on a Saturday night in Salem? Derby Wharf Exhibits Should They Stay or Be Deep-Sixed? The National Park Service is looking to possibly shake up the look of Derby Wharf at the Salem Maritime National Historic Site and it wants your input. 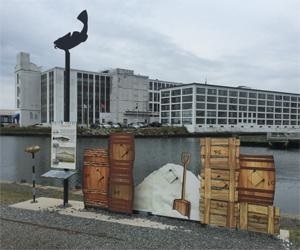 Residents & tourists alike have come upon “interpretive exhibits” along Derby Wharf which consist of five units of vertical text/image panels, a small mast and yard arm, an outdoor stage, and a collection of eight hands-on activities. They were installed in 2010. But time & tide (and weather) have taken their toll on them. The National Park Service proposes to remove or modify a collection of outdoor interpretive exhibits on Derby Wharf at Salem Maritime National Historic Site in Massachusetts. The principle component of the proposed action is the removal of exhibits that are damaged, inoperable, in poor repair or potentially unsafe for public use. A portion of the exhibits not meeting this criteria are also being considered for removal due to their effects on the park viewshed and visitor experience. 1. Do the exhibits enhance or detract from the visitor experience and views along the wharf? 2. Should the outdoor stage adjacent to Derby Beach be removed or relocated? If so, why? 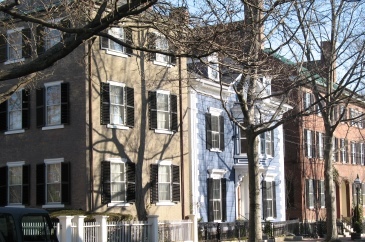 The Salem Maritime National Historic Site was designated in 1937 as the first National Historic Site in the National Park system. 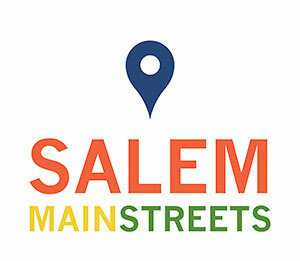 The nine-acre site includes the homes of merchants and mariners, the Salem Custom House in which the famous author Nathaniel Hawthorne worked, and a replica of the three-masted cargo vessel Friendship of Salem. The time to offer comments ends on 9/22/15. How do you feel about those exhibits?